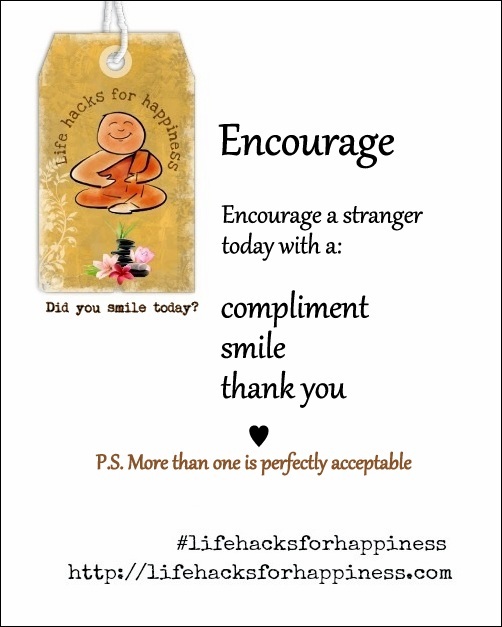 Encourage a stranger today with a compliment, a smile, a “thank you”. More than one is perfectly acceptable. What a blessing to receive encouragement! The only thing better is to give it! It’s amazing how just a simple smile can turn a person’s day around and make it happy.